Received the Irish Times this morning and the one page property section in the International edition had the headline " Tight supply drives annual rents in capital up by 6.4 per cent." The Irish Independent said " Rents surge past €1,000 in Dublin - but fall elsewhere" and The Irish Examiner said "Dublin rent rates outpace those outside the capital"
The PRTB - Private Residential Tenancies Board have published a rent index with the ESRI which is based on actual rents of more than 273,000 tenancies registered with the PRTB. According to the report on the PRTB site, "Rents for private accommodation in the Dublin region continued to increase strongly in the third quarter (July-September) of this year, but outside the capital there was more modest growth. Looking at rents on an annual basis, Dublin rents grew by 6.4%, year on year (Q3 this year versus Q3 last year), but elsewhere rents actually showed a slight decline (0.2%) over the same period. These findings come from the latest Quarterly Rent Index of the Private Residential Tenancies Board (PRTB), which is compiled for it by the Economic and Social Research Institute (ESRI). This Rent Index is the most accurate and authoritative rent report of its kind on the private accommodation sector in Ireland. 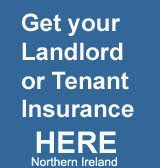 All landlords are legally obliged to register tenancies with the Board and the number of new transactions in Q3 alone (July – September 2013) was well over 46,000. Another key feature is that it reflects the actual rents being paid for rented properties, according to the PRTB’s records, as distinct from the asking or advertised rent, which is the basis of other rent reports. The PRTB website also contains an Average Rent Dataset which enables people to check the average rent being paid for five different categories of dwelling types throughout the country, in both urban and rural areas. This enables people to check what is the actual rent being paid for, say, a semi-detached house or a two-bed apartment in their neighbourhood, and in other parts of the country. The Irish Independent report went on to say "Some 46,000 households signed a new rental agreement in the July to September period, according to the PRTB, which is the Regulator for the rental sector. One in five households now rent their homes as a lack of mortgage credit and a preference for renting among younger people has made it more popular. This amounts to 475,000 households now renting, up by almost 50pc from 2006, according to separate CSO figures.